theteachyteacher: Ahhh!!! So much Guided Reading!!! Ahhh!!! So much Guided Reading!!! Am I the only one that struggles reading 6 books, keeping up with the kiddos, planning meetings, making sure I'm on track and everyone else as well, and then the papers...so many papers--running records and such. Maybe I'm a project on getting organized, but here is what I have learned so far. 1. Read books that you at least like. Maybe some books you don't fall madly in love with but hey, they aren't all that bad. I found myself sometimes being to picky and other times too liberal. I tried to look at books with the lens of what would my students love about this book? How can I sell it to them? It's really hard to sell a book that you can't stand to your kiddos. Make it known that you love reading and like books and they will follow suit. 2. Really. Sell. The. Book. I let my students rank their preferred books and I select groups from there. Before they rank their reads, I have little book commercials--I have movies, music, pictures, quotes and really sell the book to them. They get so excited about it that they beg me to create the books and get things started immediately. As the year goes I prepare groups (sometimes has a final project and other times just for fun) to create commercials and "sell" the book to their classmates. Also, before we even start the book I spend a lot of time creating SCHEMA and giving them the support and background knowledge that they need. For example, Fever 1791 by Laurie Halse needs lots of schema. My students forgot their history lessons so I made sure (after a huge flop) to talk about the history of America, Philadelphia, and medicine to make sure they felt like they understood and were successful readers. Sometimes that word is so hard for me. I love planning and making messes but organizing can put me in hives so fast. I have a binder that I use to take notes in. 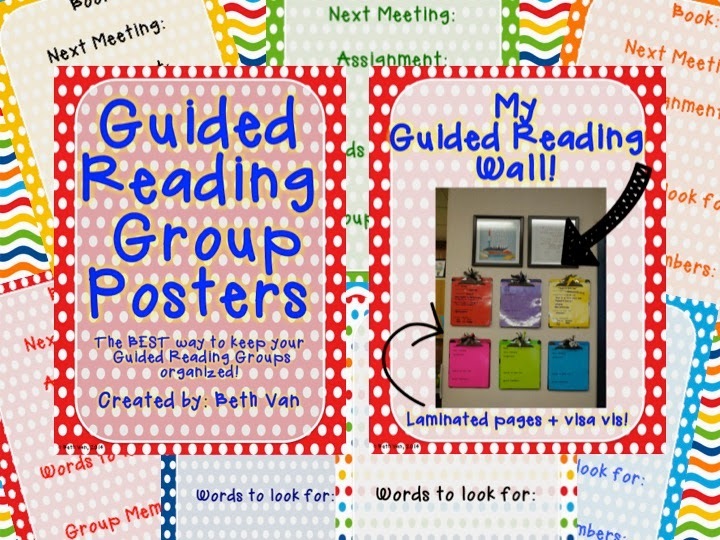 Each group has a divider that holds book information, student information, notes, and what not. My students also run my guided reading wall for me so that we always stay on track. Another thing that has helped me stay organized is my IPAD. I download my favorite books (kindle style) so I own them and can tote the back and forth a lot easier. Don't worry, I also use my regular books as well. Here it is! AND just imagine what it would look like if it was revamped!